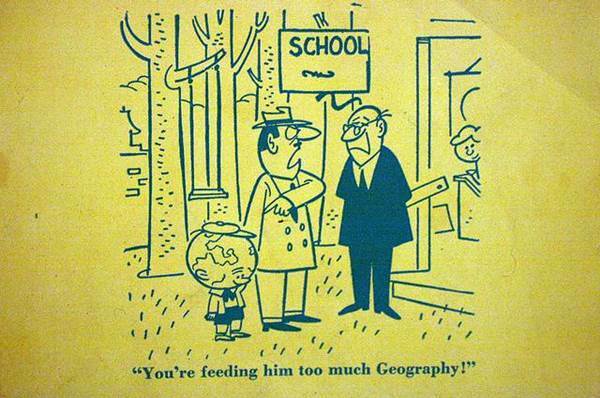 Geography offers far more opportunities than the name of the field would imply. Those with a geography training can find work in fields as diverse as politics and city planning. Many geographers become independent researchers and writers. Some become programmers and consultants. There’s little to prevent a passion for geography from turning into a career of one’s own choosing, and that should be welcome news to anyone who would prefer to think and work outside the box. Geographers specialize in understanding physical systems and interpreting data related to them, and that makes weather forecasting an ideal choice for many geography graduates. Weather forecasters relay vital information to farmers and anyone else who does work that heavily relies on the state of the weather. They also save lives by providing early warnings for severe storms. In a world where climate change is causing weather to become substantially more unpredictable, weather forecasters are more important than they’ve ever been. Holidays aren’t nearly as interesting without someone who is intimately familiar with the lay of the land. Geographers who enter this field provide comprehensive tours of local landmarks such as mountains and streams, and they help ensure that the people who venture into those areas come back safe and sound. Geographers also have a leg up when it comes to management positions within the tourism industries; their knowledge is a major asset when instructing employees on how to perform their jobs. The task of planning roads and railways becomes exponentially more complicated as urban populations expand, and that’s why a geographer’s expertise is becoming more valuable to city planners. This is yet another field where a geographer’s knowledge of interconnecting terrestrial systems is vital to ensuring that the entire population of a given area has access to necessary resources with minimal risk of interruptions. This can include planning tunnels around water ways and gas lines, and building new housing projects near bus stops and businesses. Earth’s resources are dwindling, and making the most of what’s left will require strategic thinking that accounts for human needs hundreds of years down the line. Corporations also need experts to inform them of whether their plans fall within the constantly changing environmental regulations that pass in and out of law every year. This makes environmental consultants vital for preserving the integrity of the planet and the economy. Most people probably think that a degree in economics is required to enter into a career that focuses on economics, but nearly any STEM degree would give someone the necessary skills to tackle the challenges posed in this field. What makes analysts with a geography background so special is that they have a deeper knowledge of ecological systems than most of their peers do, and that can provide valuable insight into emerging trends. What separates geography degrees from most others is that they enable greater access to fields outside of geography than most other credentials. This makes a geography degree one of the best economic investments a student could make; it provides an incredible amount of security and flexibility, and that means geographers can live almost any kind of life they choose. Scott Naisbit writes for education blogs. Interested in the field of geography? You may want to check out a GIS program, such as the one at gis.usc.edu and see what’s involved in getting into the field.